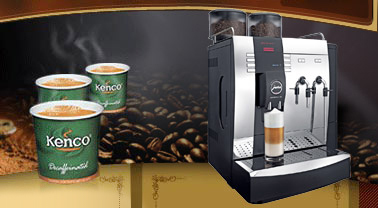 The Kenco Maxi, which you may know as a Crane Vision machine, is a robust table top coffee machine that will dispense a range of speciality coffees such as Cappuccinos, lattes and mochas as well as decaffeinated coffee, hot chocolate and hot water for tea. It also has a jug facility allowing it to be used for conferencing and meeting rooms. The Maxi can be used in many different environments. It is fast dispensing so will cope with high demand situations where it needs to produce good quality coffee very quickly. This makes it ideal for breakfast rooms at hotels or in a canteen environment where there are a large number of people may need to use it in a short space of time. Because it has a relatively large hot tank it can also dispense large quantities of hot water for tea. Often this is a problem with table top coffee vending machine. The Kenco Maxi however, handles it easily. The maxi will also dispense much larger drinks, up to a 12oz measure, if you would like to opt for a “coffee shop” feel. This is improved further if you make sure you use good quality Kenco freeze dried coffee such as Kenco Really Rich or Kenco Really Smooth and a good quality whitener such as Milfresh. 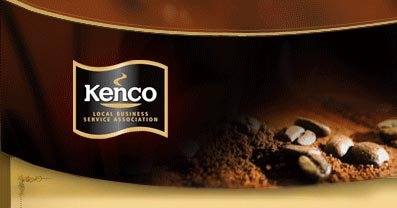 To further enhance the offering you could look at using Kenco Millicano. This is an instant coffee with 15% of it being made up of ground coffee beans. The result of this is more of a “bean to cup” quality drink, but without the hassle and cost of bean to cup equipment. This quality means that this coffee machine can be used in an office environment or in a showroom for customers. We even have customers who use it in the café. The key thing is what product is used in the machine and how it is set up. We always set up our machines to suit the environment into which they are being placed. If you want a lower cup cost then we can reduce the drink volume, but if you want to maximise the quality of the drink we can increase the ingredients volume and unsure that you use the best quality products such as Millicano and Milfresh milk granules. For more information on renting this coffee machine or any other then please call the office. This entry was posted in Coffee machine and tagged Bean to Cup coffee machine, Coffee machine, coffee machine rent. Bookmark the permalink.